(Above) Outgoing MHA President, Peter Maciulaitis, passes the ceremonial rock pick to incoming President, Keith Long. 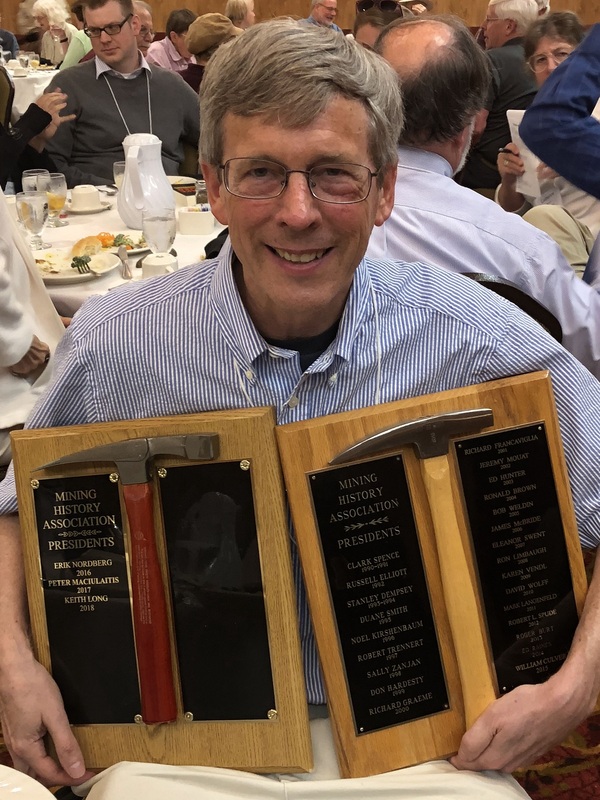 (Right) A close-up view of Keith Long and the two plaques containing the names of the 26 MHA members who served as President from 1990 to 2019. 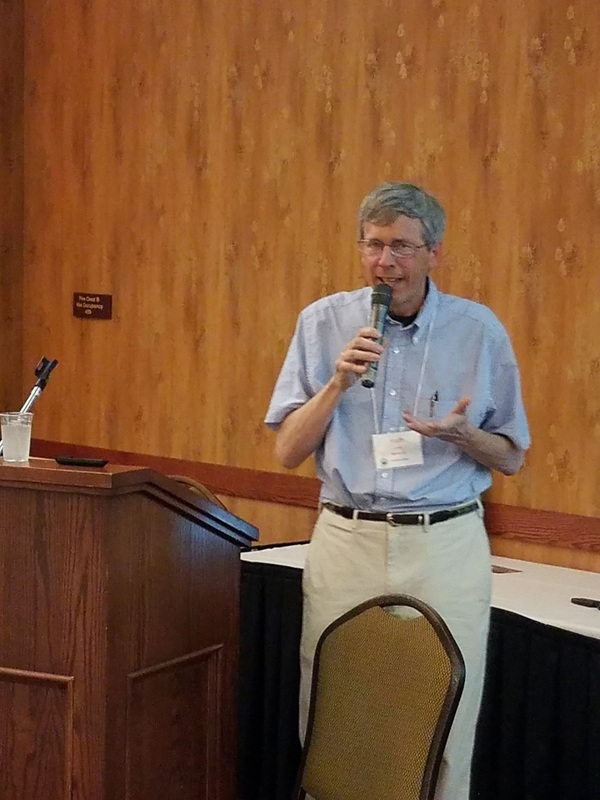 (Left and above) Keith Long gives the 2018 Presidential Address, “The Perpetual Prospect.” He describes how a mineral discovery becomes a perpetual prospect that remains undeveloped. He uses the Bullard Mine in Arizona as a case study. On-line information resources are described. 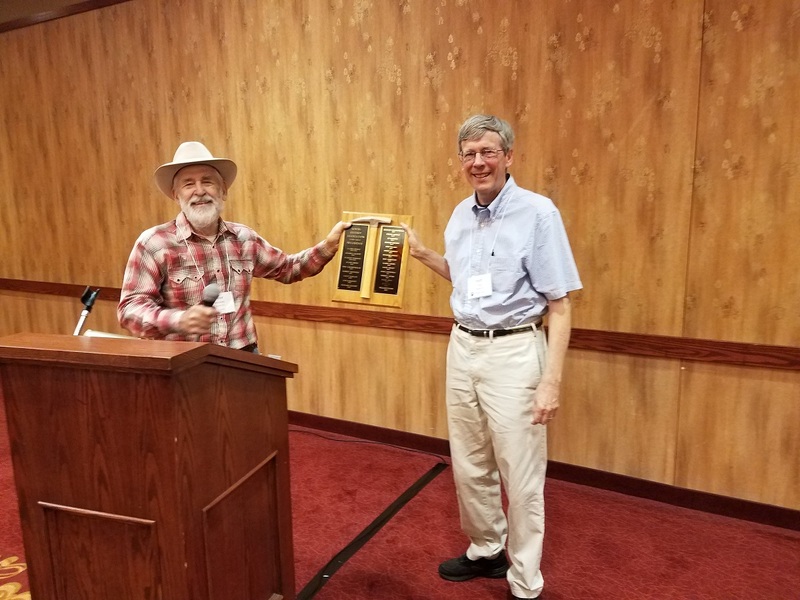 Special recognition is given to Nial J. Niemuth who assembled the extensive Arizona mining archive during his 30-year career with the Arizona Department of Mines and Mineral Resources. CLICK HERE to view Keith’s presentation. 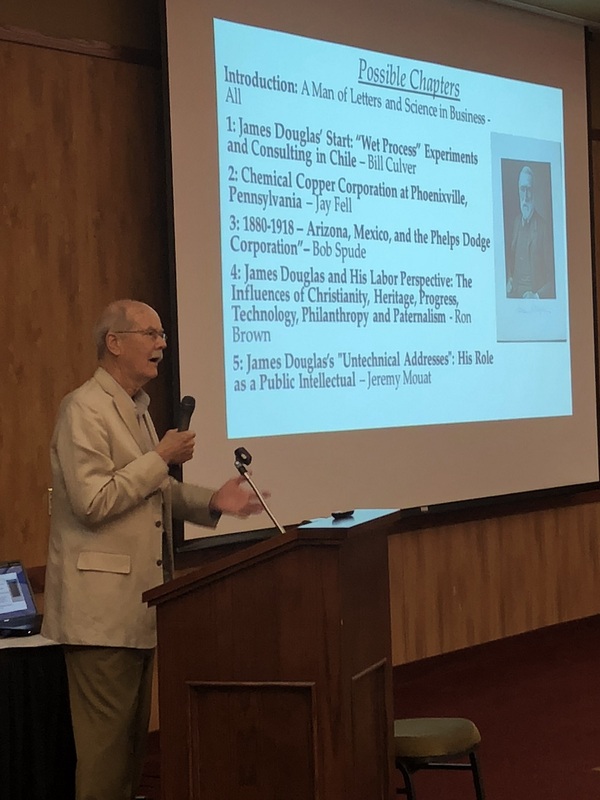 (Left) Bill Culver, past-MHA President and James Douglas scholar, leads the roundtable discussion and presents an outline for a proposed volume on Douglas’ life as a man of letters, scientist, and businessman. 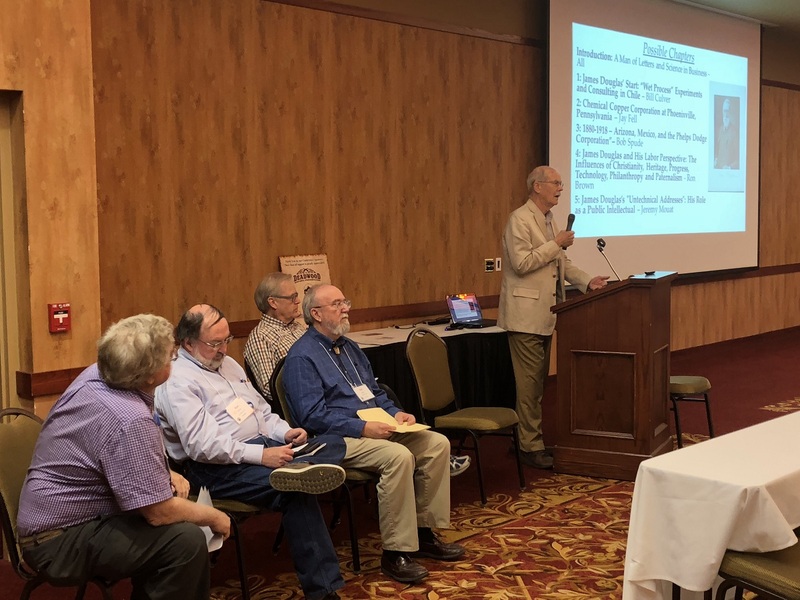 (Above) Culver is joined by other Douglas scholars (left to right), Jay Fell, Ron Brown, Jeremy Mouat, and Bob Spude.